Everything doesn't have to be so black and white. A dash of color, some undertones of whimsy and sublime construction all conspire to make the black and white 'oh so very mundane'. 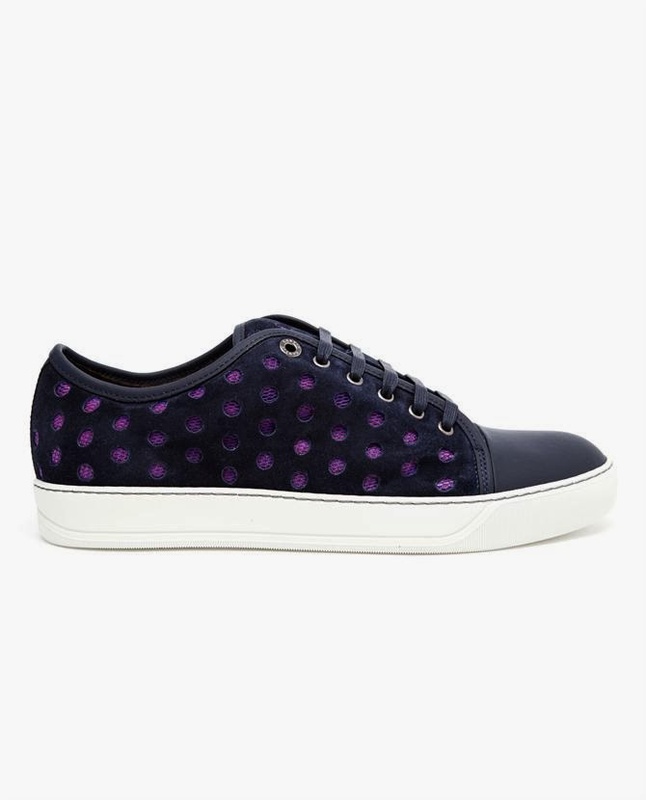 Lanvin's new Perforated Suede Trainers give that hint of deep inky color, the texture of large perforated dots and a vibrant purple under-lay to the upper that says cool with a dash of a pop to make one smirk. Available now at Browns in London.